Local residents can become Friends of Stretford Public Hall and make decisions about the running of the business. Over 800 people invested in the hall’s community shares. 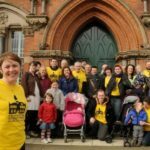 The renovation of the ballroom will create the largest community space in Stretford, so 400 people can take part in community activities at a time. The hall will offer a series of community activities to support the health and wellbeing of local people, including yoga and meditation classes and art workshops. Stretford Public Hall was built in 1878 by John Rylands, a local philanthropist, aka “The Cotton King” and Manchester’s first multi-millionaire. Since then, it has been turned into a public library, public baths, a theatre, and council offices. Today, it’s being turned back into a community hall by local people for local people. In 2014, the Grade II listed building fell into disrepair and Stretford Public Hall faced closure. 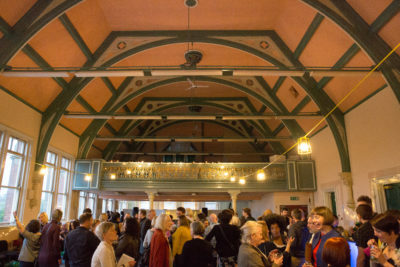 The local community stepped in and brought about the hall’s transfer to the Friends of Stretford Public Hall, a member-owned charitable organisation led by local residents. Having bought the hall, they wanted to restore the historic ballroom to its former glory to create the largest cultural space in Stretford. To fund the restoration, they decided to raise funds through a community share offer. The community came together to buy the hall and it’s fantastic to see people coming together again to invest in its restoration through the community share offer. Power to Change invested £10,000 through our Community Shares Booster programme towards the development of the share offer which reached its £250,000 target in just two months. We match funded the first £100,000 of shares bought by over 800 local people. The refurbished hall will increase its capacity from 100 to 400 people, soundproofed windows and better fire escapes. The bigger space will accommodate more people and more community activities including community cinema screenings. 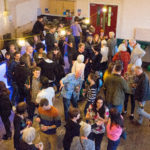 And space hire for events such as conferences, concerts and weddings, will generate income that will be reinvested into the maintenance of the hall and community activities. How is it accountable to local people? 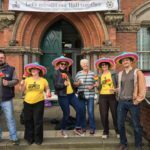 Friends of Stretford Public Hall was formed in 2014 to take on the ownership and running of Stretford Public Hall for the benefit of the community. It is a charitable community benefit society that is democratically run by its members on a one-member one-vote basis. They have exclusively charitable objects and a charitable asset lock, preventing members from making a capital gain by selling or closing the business for a profit, so the Hall will never fall into private ownership. Friends of Stretford Public Hall is run by a Board of Directors, elected each year by its members. 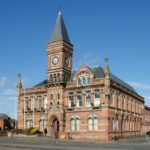 Hear more about Stretford Public Hall in the Community Business Fix Podcast episode on Community Shares.